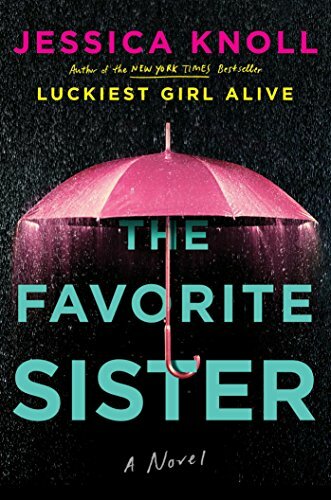 Great finish almost makes it worth reading the rest of The Favorite Sister. Brett, Stephanie and Jen are the sole remaining season 1 cast members on the new season 4 of the Real Housewives-esque reality show, Goal Diggers. The show ostensibly empowers women, while provoking as many fights among them as possible. Brett is the “thick” lesbian African-American CEO of SPOKE. The company is a spin class empire that donates electric bikes to Morocco girls so they can avoid being raped while hauling water daily from their towns’ well. Stephanie is an author and married to Vince, a wannabe actor. Jen is a vegan CEO. Lauren, who arrived season 2 as Jen’s friend is CEO of Sadie, a dating app where women chose the men first. The Favorite Sister is full of lying, conniving and cheating. There is murder and attempted murder in here too but not until late in the book. My problem is that the characters are not sympathetic at all. After some foreshadowing, I spent the first half of the book waiting for the murder to occur. I didn’t even care who was the victim. I just wanted something to shake the self-centered complacency out of one of these b*tches. There is a q&a with the author at the end of the book explaining how she loves the housewives shows but dislikes how they turn women against each other. But she wrote a book about the exact same process. Maybe it was sarcastic farce that I just didn’t get. Once the thriller part of the book started, well past halfway, I enjoyed the twists. I’m just not sure I would have read that far if I hadn’t received this book from NetGalley. The last half of the book gets 4 stars and the first gets 2 making an average of 3 stars. Thanks to the publisher, Simon & Schuster, and NetGalley for an advanced copy.